The word "ombré" actually means eyeshadow. But in our current beauty term, "ombré" simply means "gradiant color". 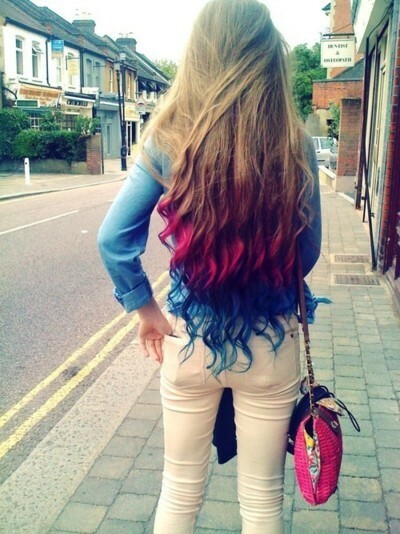 Whatever it means, gradiant color is making a hit in current fashion trend, from ombré nails to ombré hair. 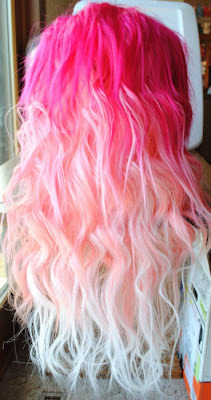 I believe Katy Perry was the culprit who made ombré so popular these days. Don't you just want ombré hair yourself? Sadly, it will take a lot of time and cost a lot to achieve a perfect ombré hair. Also fortunately, L’Oréal Paris will be coming out with Préférence Wild Ombré Haircolour Kits. That makes life a lot easier. 1. Inexpensive. I'm not sure about the pricing because it is not available in Malaysia market yet. 2. Easy and fast application. You can do it at home or anywhere convenient. 1. There are only three shades available and all of them are in blond-brown shades. 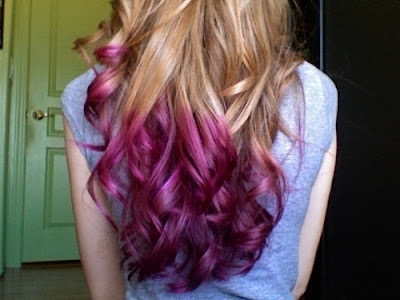 I wish they have more wild color like pink, purple and turquoise. Fingers cross they will have it soon. 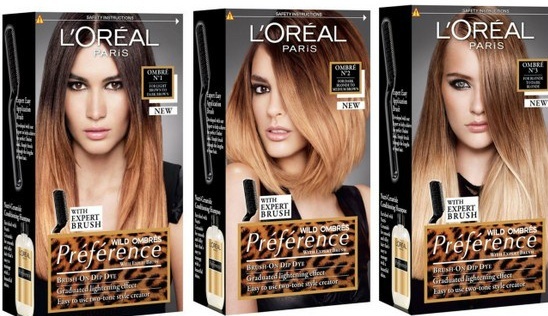 The L’Oréal Paris Préférence Wild Ombré Haircolour Kits will be launched in February 2013. Make sure you watch out for it. I really can't wait to try it. How about you? Will you get it too? No worries... This product will only be available next year. I will definitely try it when its out. Will show you the result when I do.